PCWorld.ca | Morrison MultiMedia Inc.
A good YouTube app makes it impossible to stop watching videos when what you should be doing is writing that program's review. And this is exactly what happened to me as I attempted to sit down and write about Minitube, a YouTube desktop app that's going to change the way you consume your dose of daily videos. At €9 ($12 on 6/19/13), it's not cheap…but if you spend much time on YouTube, Minitube is well worth the price. The traditional clamshell laptop will always be with us, but thanks to the innovation of the Intel-inspired Ultrabook, a wide range of new mobile computer designs has recently hit the market. Offering a vast amount of flexibility, these new designs offer considerable freedom, letting you choose the Ultrabook™ that works best for you. Here's a guide to the various types of Ultrabook designs you'll find available today. Don't fret if you just want the basics and don't want to reinvent the wheel: Ultrabook systems with a standard clamshell design are widely available. These systems look and operate just like any laptop computer, except they’re often much thinner and lighter. Also, many now come equipped with touchscreens, so you can use the keyboard and touchpad to navigate Windows, or draw on the screen with your fingertip. At first these Ultrabook systems appear to be pretty standard, except they're equipped with new hinges that allow the screen to rotate around a full 360 degrees. In other words, you can push the screen back so that it lies flat against the table, and keep going another 180 degrees so that the screen is facing outward from the bottom of the laptop. Next just flip the Ultrabook over so that the keyboard is on the bottom of the machine and the screen is facing you. Presto, you've turned your laptop into a keyboard-free, slate-style tablet. Microsoft Wednesday announced several new apps that have arrived or will arrive within the Windows Store, including the Vevo app for music videos and an updated version of Where’s My Water? But if you’re still hoping for a Facebook app for Windows 8, keep waiting. Really, ever since Windows 8 was released last October, many have wondered when Microsoft—or Facebook—would release an app supporting the over 1 billion users who use the Facebook service. While many apps—such as Pandora, for example— still haven’t made the transition over to the Windows 8 platform, Facebook seems like a significant omission. Intellectual Ventures, a large patent-licensing firm, has filed a second patent-infringement lawsuit against Motorola Mobility while its first patent lawsuit is still pending in a Delaware count. The patent-licensing firm filed its second lawsuit against Motorola in U.S. District Court for the Southern District of Florida, the company announced Wednesday. The second lawsuit alleges that Motorola, owned by Google, has infringed seven different patents than the six named in the Delaware lawsuit. Intellectual Ventures "has been unable to reach an agreement with Motorola" in the Delaware case, the company said in a statement. The company also filed a patent-infringement lawsuit against banking firm Capital One in Virginia, Intellectual Ventures aid. A company that specializes in Google apps is developing a series of enterprise applications for Google Glass that should be available late this year or early 2014. "We're in the early stages of developing for Google Glass," said Dan McNelis, co-founder of Dito, a company that provides services for Google applications. Google Glass is the wearable device that the search giant announced in 2012. Since then the system has been in beta with developers and will likely be released to the public in late 2013 or early 2014. McNelis said Dito is developing both "Glassware" or the apps on top of Google's API (application programming interface), and figuring out specific use cases to develop custom apps for Glass. A telephone records surveillance program run by the Federal Bureau of Investigation and National Security Agency raises serious privacy concerns and should be reined in, some U.S. senators said Wednesday. Some members of the Senate Judiciary Committee pushed for changes to the surveillance program that allows the two agencies to broadly collect telephone call records from U.S. carriers, with some lawmakers calling for the records to remain with carriers until the agencies have a suspicion of a telephone number’s ties to terrorist activity. FBI Director Robert Mueller defended the recently exposed phone records collection program, saying it was a critical piece of antiterrorism investigations. The phone records collection program authorized by the Patriot Act has been a key tool in disrupting 10 to 12 terrorist plots since Sept. 11, 2001, he told lawmakers. NSA officials said Tuesday that the two surveillance programs have helped disrupt more than 50 terrorist plots since then. Intelligent OfficeWill you hire employees who think they're entitled to spend an hour or more of their workday visiting social media sites? Microsoft will pay security researchers for finding and reporting vulnerabilities in the preview version of its Internet Explorer 11 (IE 11) browser, for finding novel techniques to bypass exploit mitigations present in Windows 8.1 or later versions, and for coming up with new ideas to defend against exploits. The monetary rewards will be paid through three bounty programs the company launched Wednesday. The payouts will range between $500 and $11,000 for vulnerabilities found in IE 11 Preview, depending on the type of vulnerability and quality of the report, and up to $100,000 for mitigation bypasses in Windows 8.1 and later versions. There is also a defense bonus of up to $50,000, the BlueHat Bonus for Defense. Participants must submit a technical paper that describes an idea that could be used to block an exploitation technique that bypasses the latest Windows platform mitigations. The reward will depend on the quality and uniqueness of the idea, Microsoft said in the program’s guidelines. It looks like we aren’t the only ones impressed by the potential in Qualcomm’s powerful new Snapdragon 800 chip. On the very same night that the company let us run a bevy of benchmark tests on that very processor, Bloomberg says that the speedy system-on-a-chip will power “some new versions” of Microsoft’s Surface RT tablet. While the report seems innocuous enough at first glance, the one-line rumor actually intrigues on multiple levels—not the least of which is the allure of the first potential cellular-enabled Surface slate. Even so, beefed-up processors alone won’t cure what ails Windows RT. Before we get into that, though, the “some new versions” line—if accurate—suggests that Microsoft may release several different models of the Surface RT in the coming months. Google acquiring Waze almost seems redundant. Google is already a recognized leader in mapping services, so why does it need to buy a mapping company? The answer is that maps aren’t just maps anymore, and Waze will help Google move from mapping to social mapping. It might look at first glance like the Waze purchase is a predatory move. Google has deep pockets and it can afford to spend money to buy Waze simply to prevent rivals from doing so. It may not actually use or incorporate Waze, because the goal of buying Waze is purely a strategic move to keep competitors in the rearview mirror. 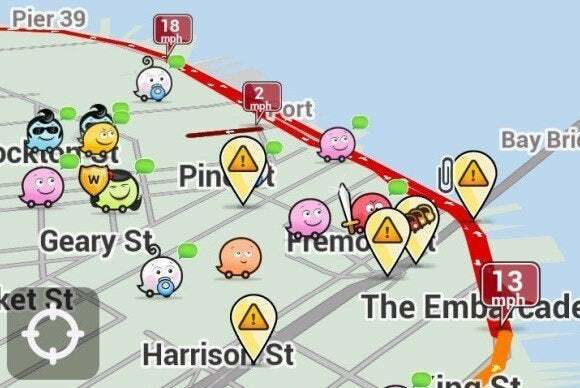 Waze adds real-time data from its social network to help you navigate. That’s not the case, though. Maps aren’t just maps any more. Maps are a search engine in and of themselves—a trove of information that helps people get from Point A to Point B as efficiently as possible, and that helps them make smart choices about where to go and what to do once they arrive. I’m dating myself, but once upon a time we relied on printed maps from AAA called TripTiks to navigate road trips. Then Mapquest came along, and we could just research our own routes and print our own maps. The advent of smartphones, and the rapid advances in mapping, and location-tracking services, however, combined with relevant, real-world information from social networks, has brought the concept of mapping to a whole new level. So how do you protect your e-commerce site from being hacked and sensitive customer data from being stolen? CIO.com asked dozens of e-commerce and security experts to find out. Following are their top 15 tips for protecting your e-commerce site from hacking and fraud. “Put your e-commerce site on a platform that uses a sophisticated object-orientated programming language,” says Shawn Hess, software development manager, VoIP Supply. The research organization’s objective is to change how it provides services to scientists working at the LHC, which runs in a 27-kilometer circular tunnel about 100 meters beneath the Swiss and French border at Geneva. “One of the things we have to contend with is how to scale our infrastructure fairly significantly with a fixed staff and fixed costs. With a fixed budget you can buy more and more equipment, but you can’t provide more and more services with the same number of people,” said Ian Bird, LHC computing grid project leader. But that may be possible if you change the way things are done. CERN’s goal is to become more efficient by moving in the direction of infrastructure-as-a-service and platform-as-a-service with a private cloud. The goal is to be able to more dynamically change how the infrastructure is used. Right now the accelerator is shut down so the CERN data center has a different workload from last year when the LHC was running, according to Bird.